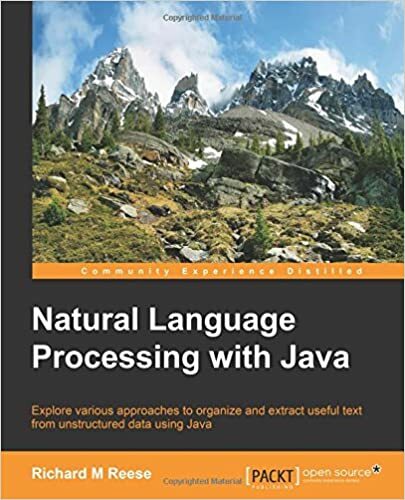 If you are a Java programmer who wants to learn about the fundamental tasks underlying natural language processing, this book is for you. You will be able to identify and use NLP tasks for many common problems, and integrate them in your applications to solve more difficult problems. Readers should be familiar/experienced with Java software development. Natural Language Processing (NLP) is an important area of application development and its relevance in addressing contemporary problems will only increase in the future. There has been a significant increase in the demand for natural language-accessible applications supported by NLP tasks. Natural Language Processing with Java will explore how to automatically organize text using approaches such as full-text search, proper name recognition, clustering, tagging, information extraction, and summarization. It covers concepts of NLP that even those of you without a background in statistics or natural language processing can understand.